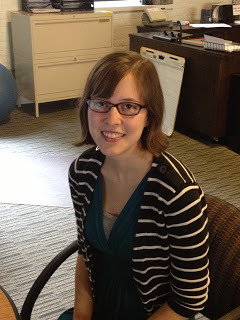 Join us in welcoming Madeline Severtson, who joins us this fall as the Development and Communications Intern. This spring, she graduated from St. Olaf College with majors in mathematics and religion. Read on to learn a bit more about her. I’m reading The Sisters: The Saga of the Mitford Family, by Mary S. Lovell, which is a biography of the six Mitford sisters. They were prominent in England during the early- to mid-20th century, and the family was divided when each sister chose a different political ideology. I’m also re-reading one of my favorite books, Life of Pi by Yann Martel because it contains beautiful passages about religion and the nature of God, and the story as a whole challenges the definition of truth and reality.